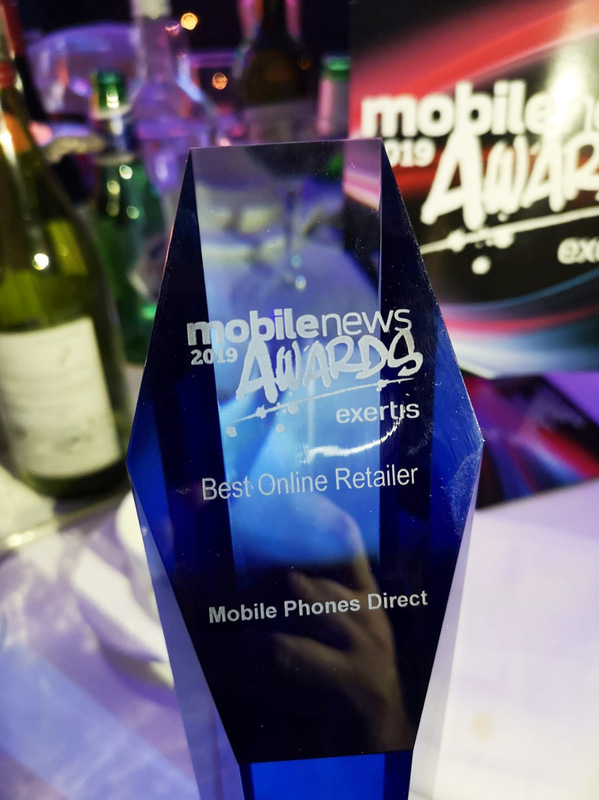 It's been another fantastic year here at Mobile Phones Direct and what a way to mark it; we've been awarded Best Online Retailer of the Year at the Mobile News Awards 2019 for the fifth year running! We are exceptionally proud to receive such a prestigious award again. It's a real testament to the continued hard work put in by the teams here at Mobile Phones Direct and the AO Family. Thank you to Mobile News Magazine for a brilliant night as always. Great entertainment from comedian Sean Lock and an exciting atmosphere throughout from all who attended! Thank you to all of our loyal customers, new and returning for helping us to achieve this excellent status and we would like to thank all of our staff for their continued hard work and dedication. We're very excited to be the first to have one this award five years consecutively and would like to thank our incredible teams for their contributions to making this yet another successful year. Here's to year number 5 as Best Online Retailer!